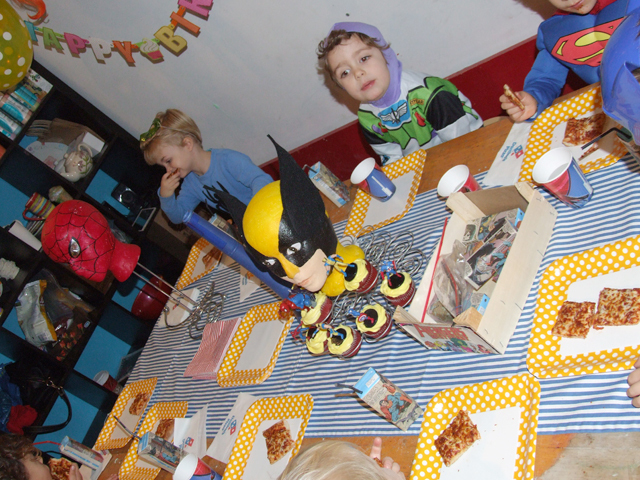 This is Part 4 of Liam’s Superhero birthday bash post. A “freak find” of half a dozen styrofoam mannequin heads from a closing store in the ‘hood turned into the most toddler-appreciated birthday decor ever. 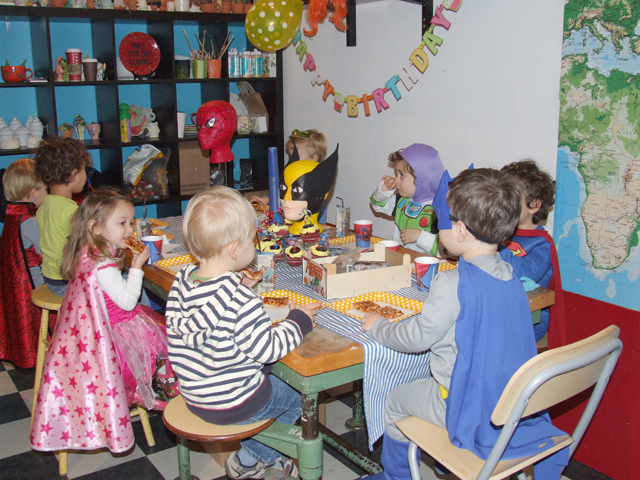 A Superhero Birthday Party | Part 3: Game on! Both. I happened to stumble upon a store that had put some foam mannequin heads on the curb. It was DIY love at first sight and I knew immediately what I wanted to do – create superheads to be used somehow at the party. I went to work with some online reference, a bunch of acrylic paint and lots of determination. 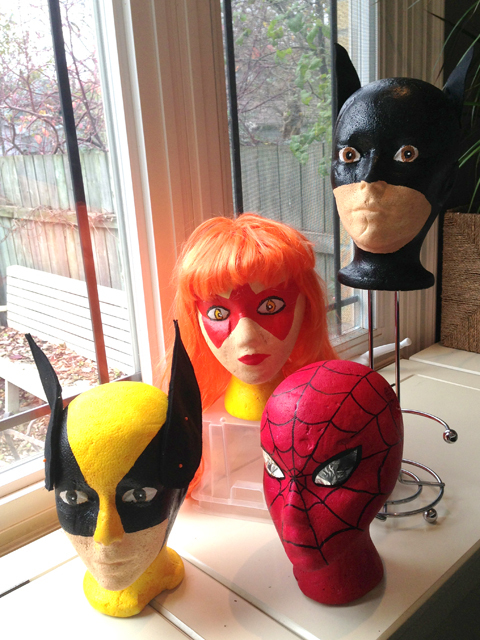 I had an old orange wig which came in handy for Firestar (can’t leave out the girls!) 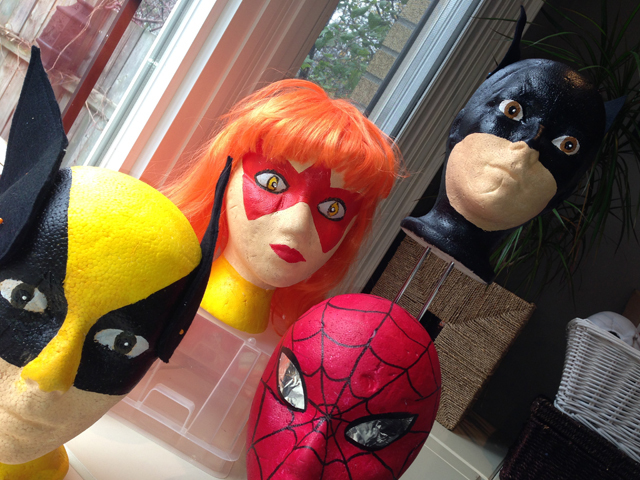 and I created some of the masks that needed 3D (Wolverine and Batman) from felt. I used the heads at both the kids and the family party. For the latter, I stuck Batman (woman?) on top of my tiered cookie holder. The heads became guests of honor at the party and have now become a much loved part of Liam’s bedroom. Flags, lots of paper flag garlands, made from the comic books sold at dollar stores. I cut the flags from each page and glued it around rustic rope. Easy and much appreciated, even more by the male adults in the family. You have heard me say it before. 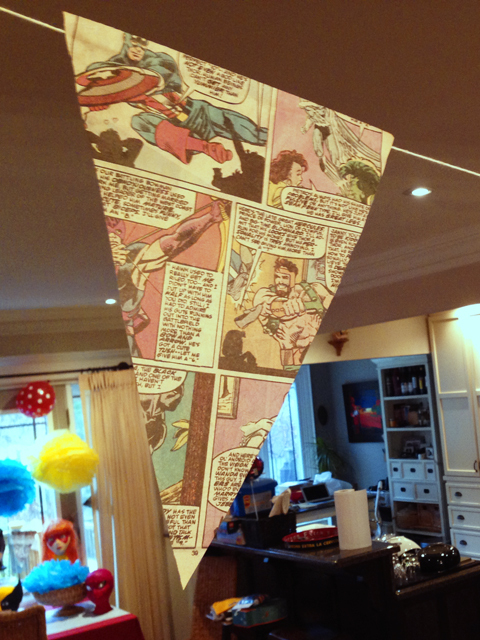 When you have a couple of showpieces, like I felt I did with the superhero heads, it’s easy sailing from there and all you really need to add is balloons and tissue-paper flowers. I love both. For the theme, I picked balloons in the primary party colors and some with polka dots. A few more shots of the kids party below. Cupcakes of course. What else? I just love the fact that there is no messy cutting-of-cake moment. 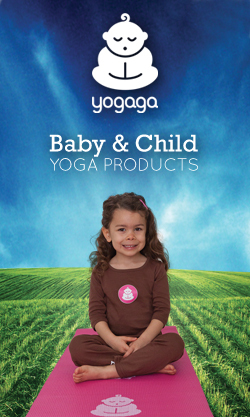 Kids can easily hold a cupcake and they are just so simple to make and fun to dress up. I love sticking stuff on cupcakes. It’s that simple. I found plastic superhero figurines at Dollarama, made some simple red velvet cupcakes from Duncan Hynes (no brainer!!! ), used yellow food coloring to make a very bright yellow frosting and my superhero cupcakes were born. Kids loved the take-home figurines. I did not have many other snacks beside this, since I am not a big believer in stuffing kids full of candy during a 2-hour birthday party. We had the usual pizza as a meal, with the juice box and the cupcake for dessert. 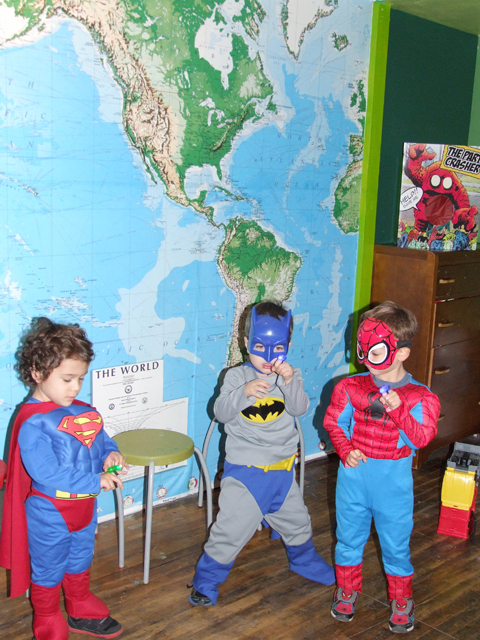 The super heroes were very satisfied. I just used your template for the invitation for my son’s five year birthday party. Thanks for sharing your idea – it’s one of the best I’ve seen. Since I’m too cheap to buy software and too lazy to learn it, I used PowerPoint to modify it. Believe it or not, it came out great. Thanks again. that is so awesome, glad to hear you could make it work for you. thanks for letting us know and please post your creation also on our Facebook page. I would love to see it!